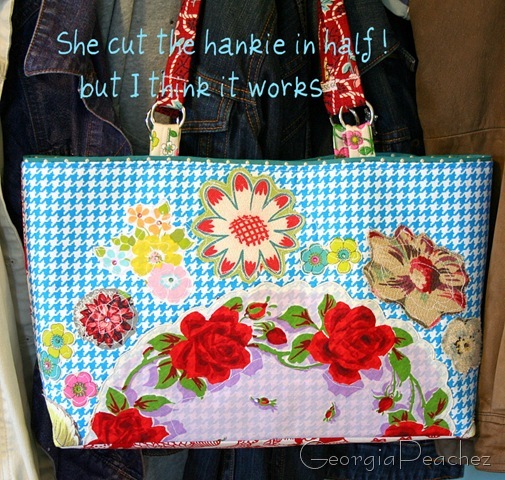 Your purses are so amazing! Just absolutely gorgeous! Love the way you mix your colors and patterns. Fabulous!!! I am loving this “new” purse style!! Very cool!! You do such quality work, Suzy. You’ve really been on a creative roll!! That is a yummy purse! I liked the wood holder you painted, too. Love it! So cute and the colors make me yearn for spring! How sweet! 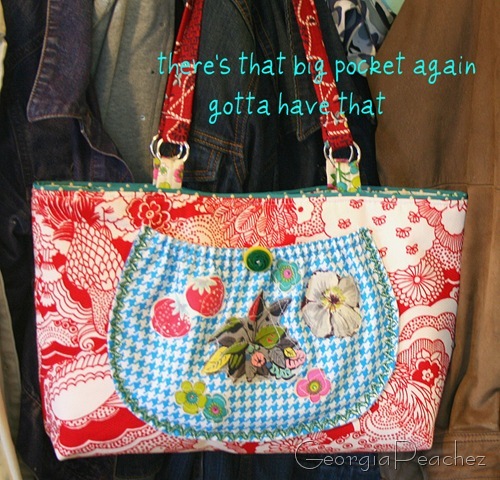 I love your purses and the big pocket is great! You fabrics are so much FUN!